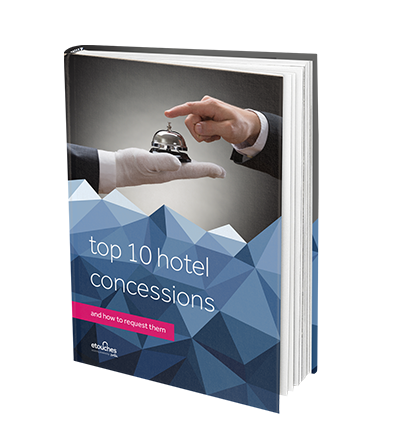 Learn how to request hotel concessions and save your company money on meetings. Negotiating hotel concessions is one way to improve your next hotel meeting experience – and your bottom line. Concessions are the “special deals” you would like the hotel to include at a discount or sometimes at no charge at all. Those deals may include parking fees, WiFi charges, suite upgrades, food & beverage discounts, VIP amenities, and more. Download today and start saving time and money with these valuable tips.